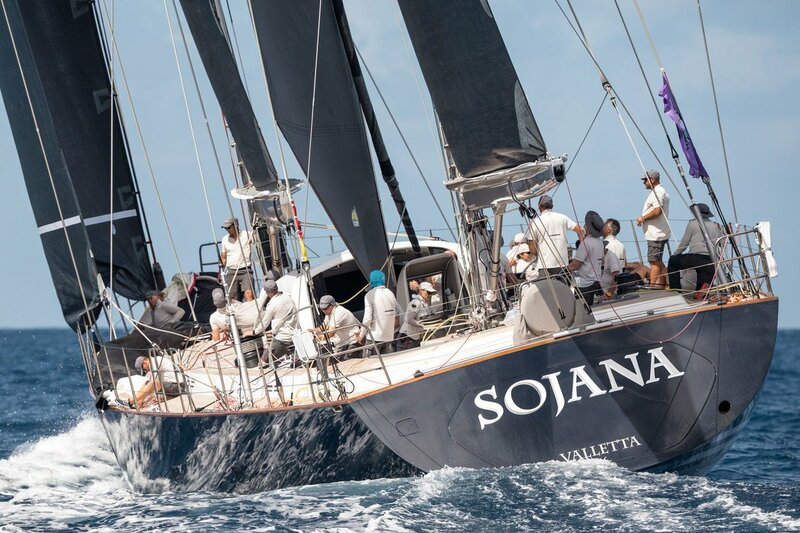 Sailing Yacht Sonjana is a Fast Cruising yacht which is quick on the English Cowes race course as well as luxuriously comfortable cruising the Caribbean seas. 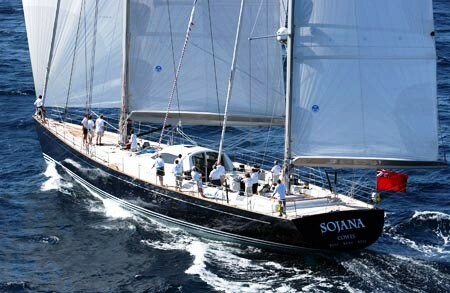 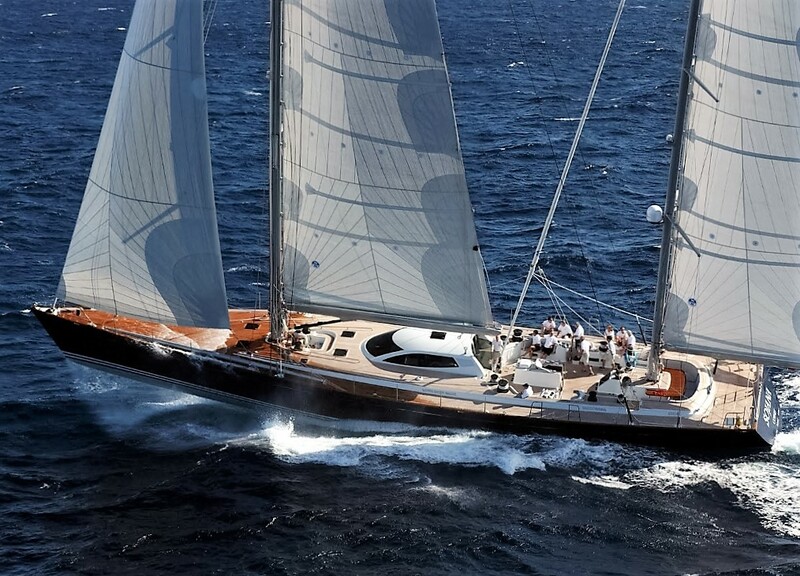 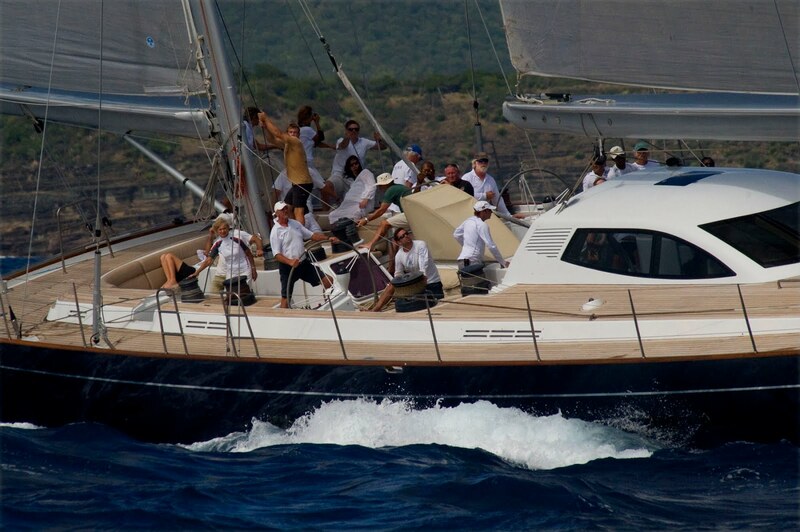 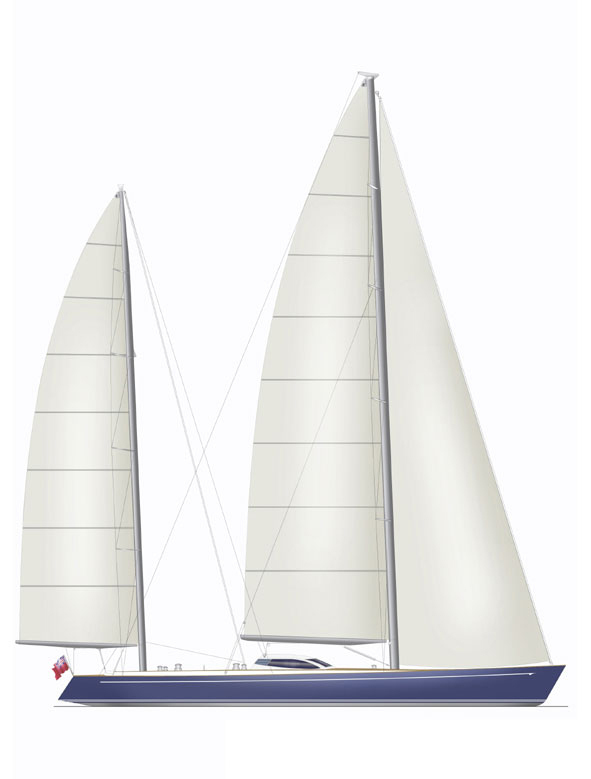 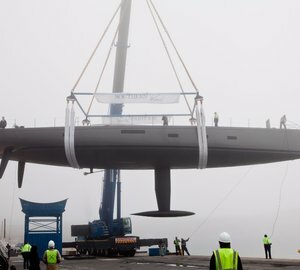 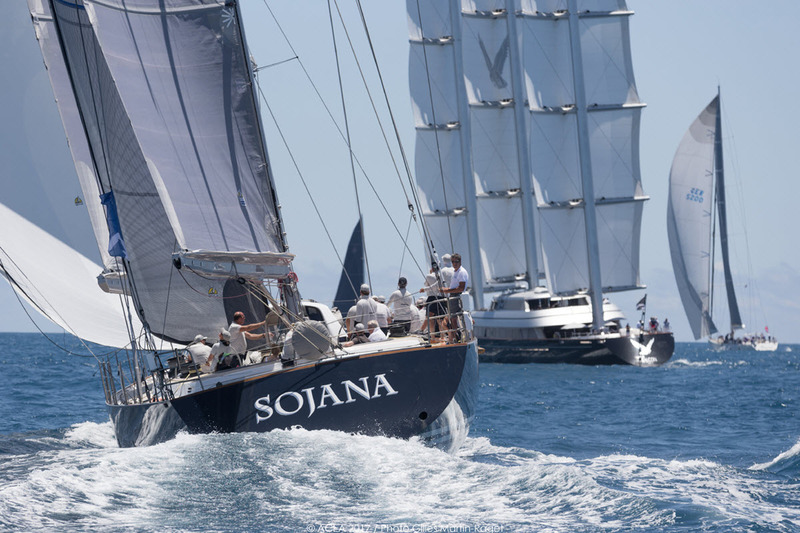 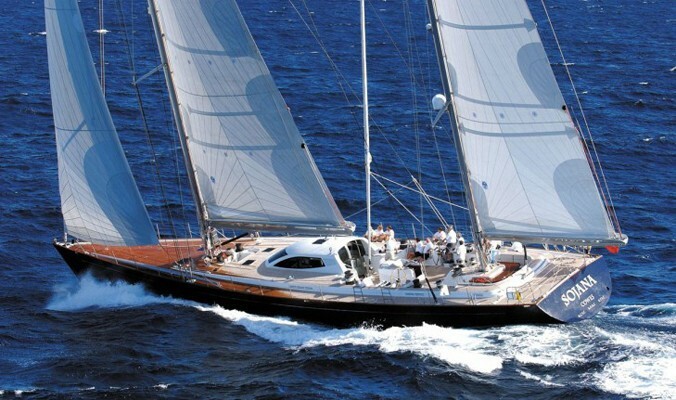 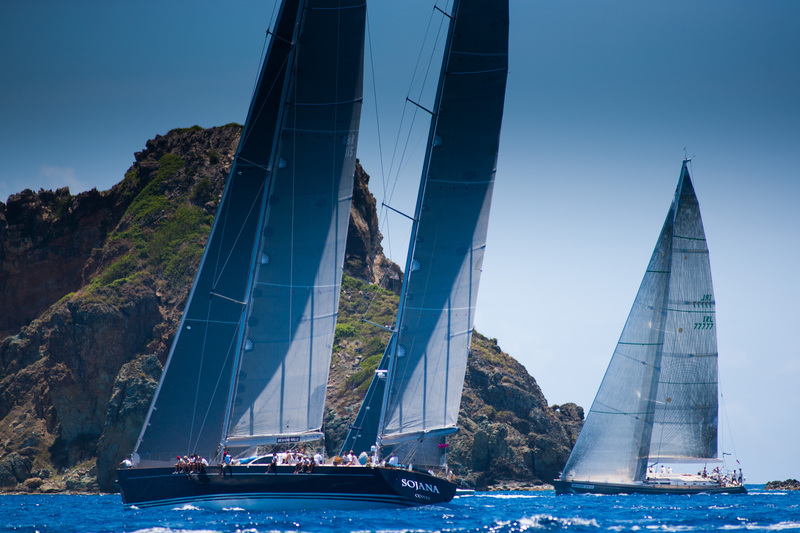 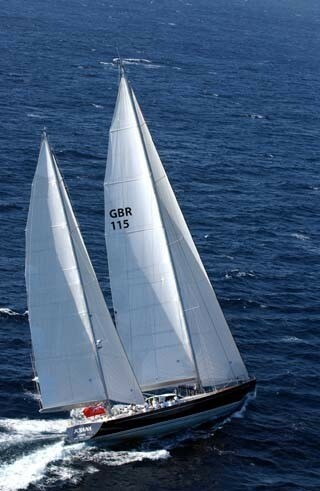 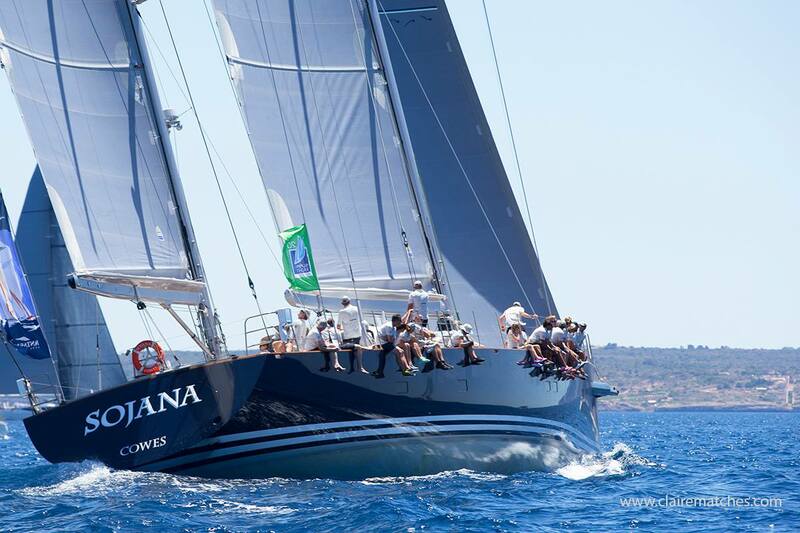 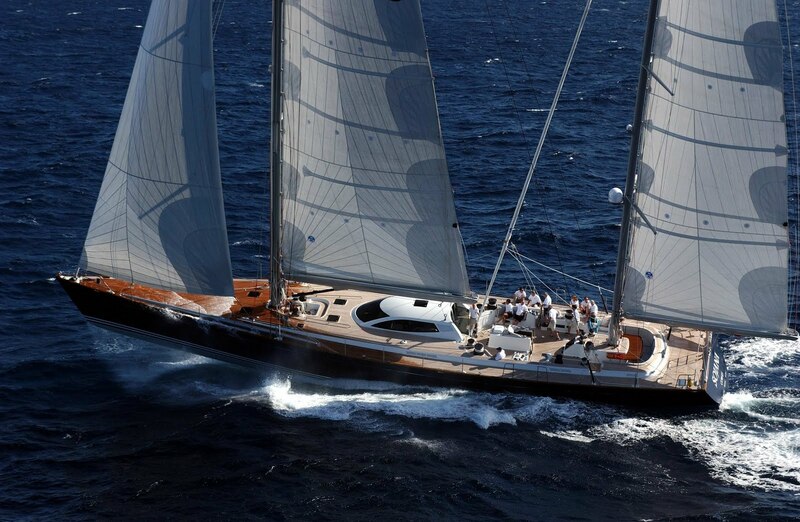 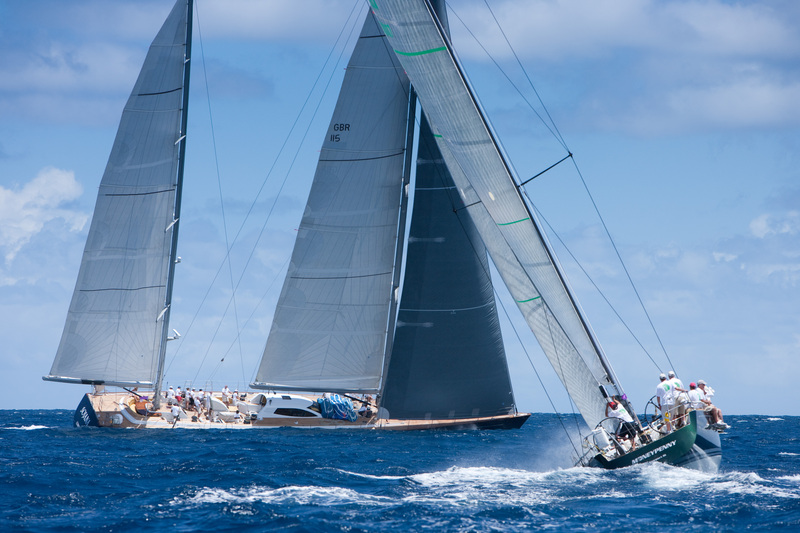 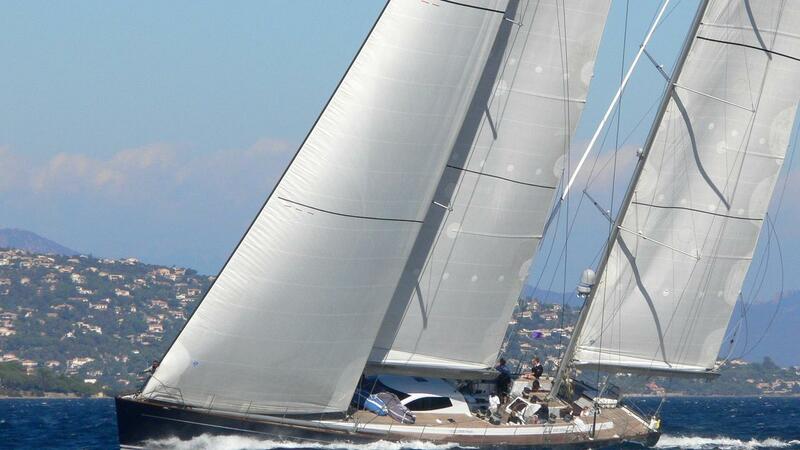 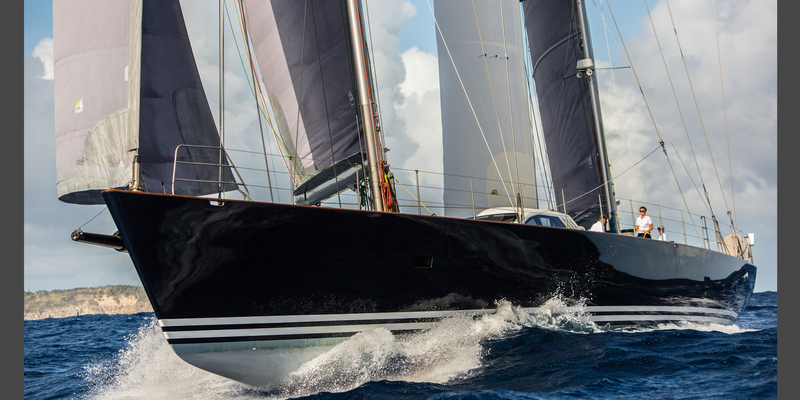 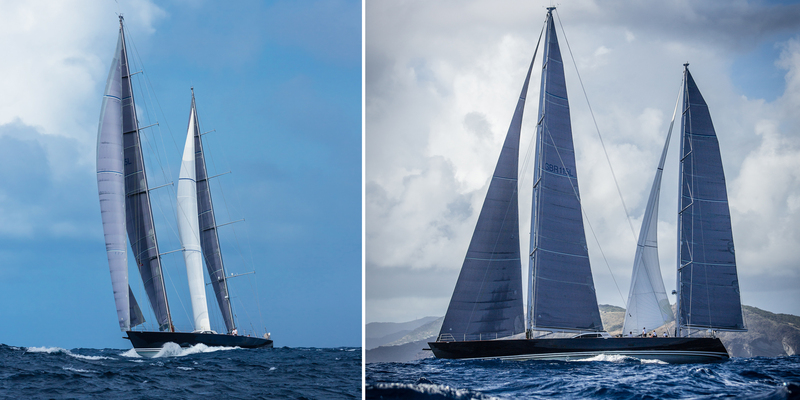 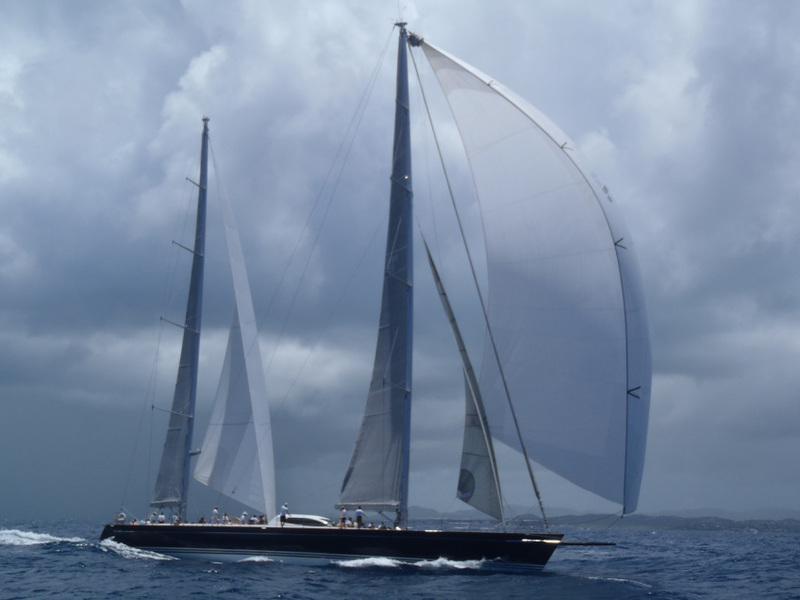 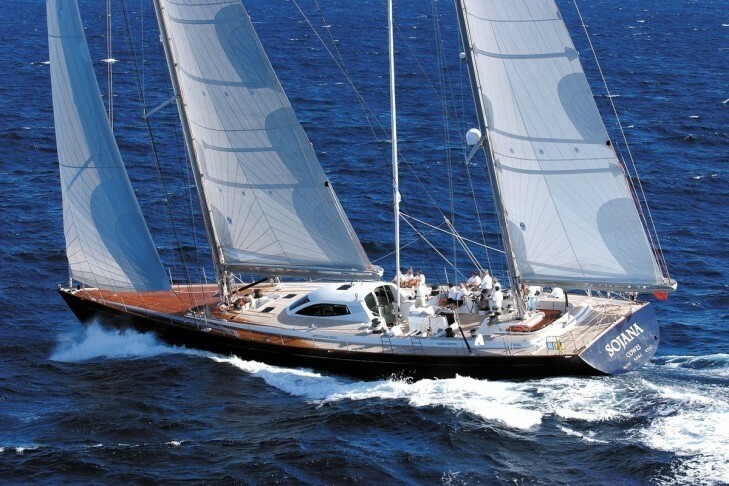 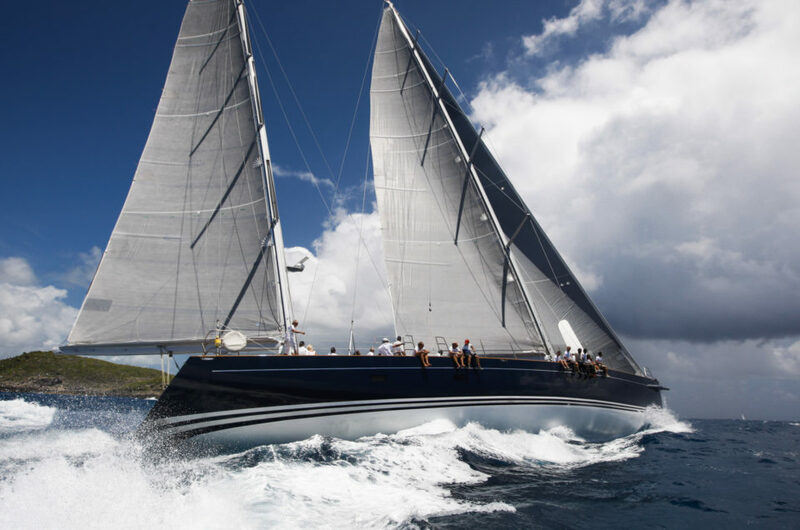 Designed by Bruce Farr (who has designed many famous racing yachts) and built in 2003 Sonjana is ideal for sailing in offshore events, such as the Atlantic Rally, as well as in-inshore events such as Antigua Race Week, Les Voiles de St Tropez and the Sardinia Rolex Cup. 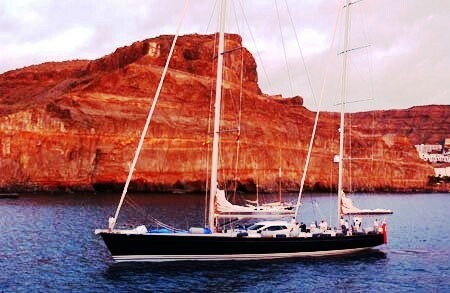 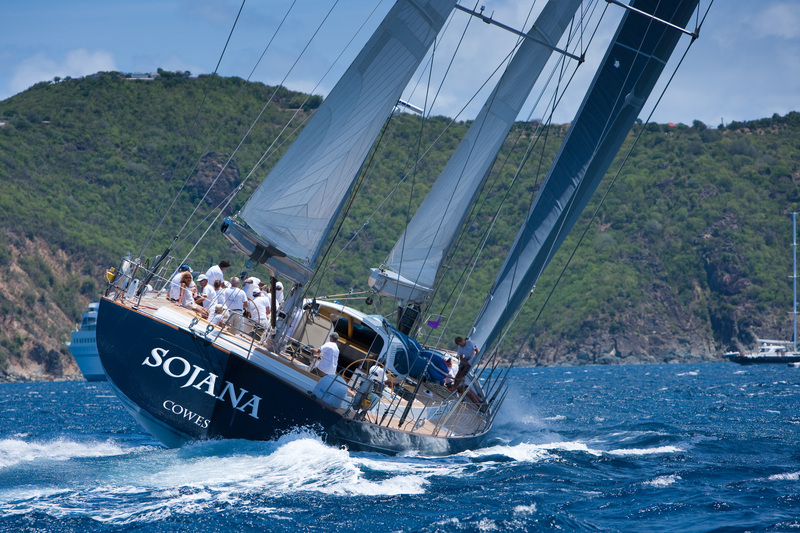 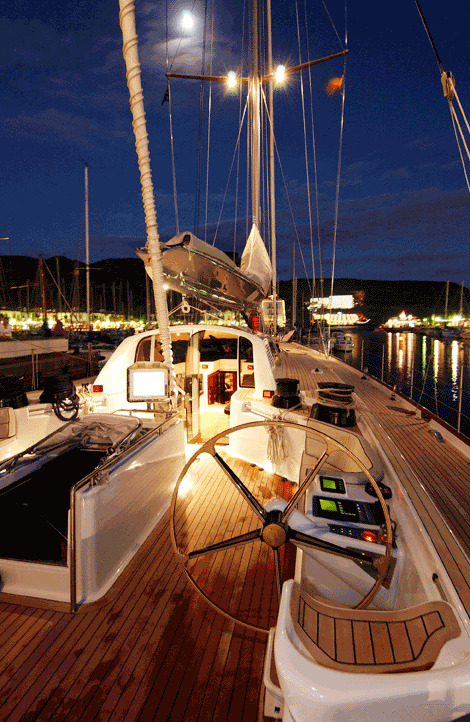 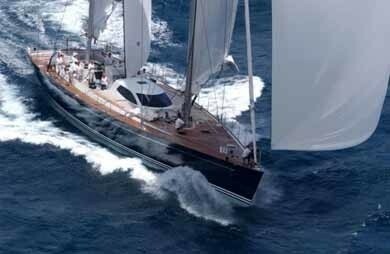 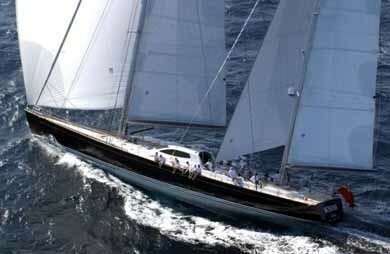 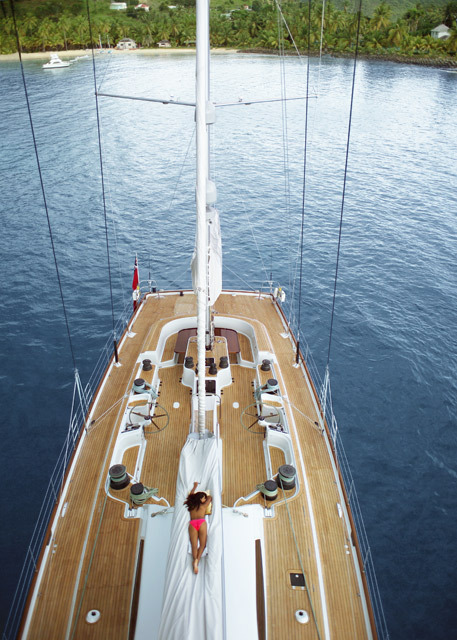 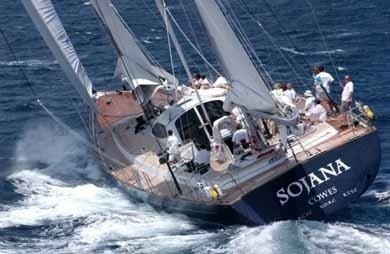 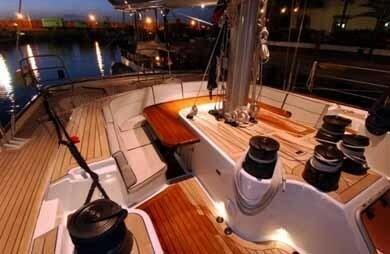 Luxury sailing yacht Sonjana also provides comfort of the highest level. 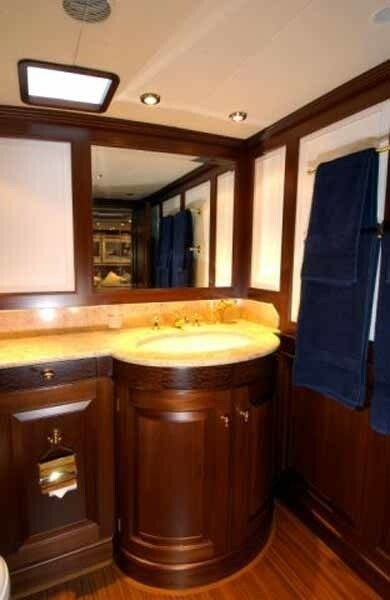 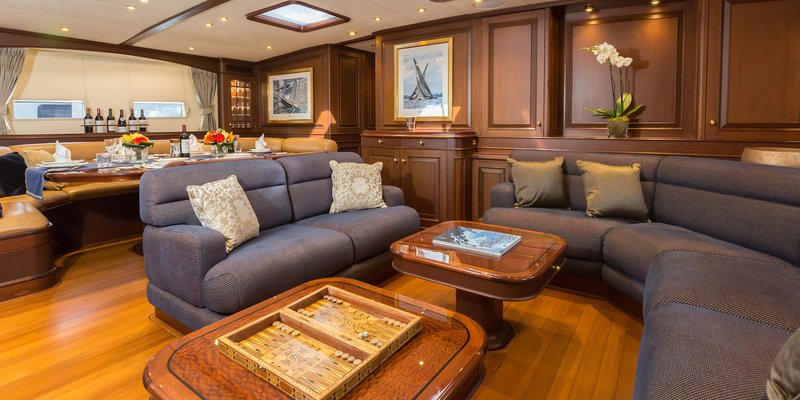 Her interior reflects an age of traditional yachting opulence and sumptuous quality. 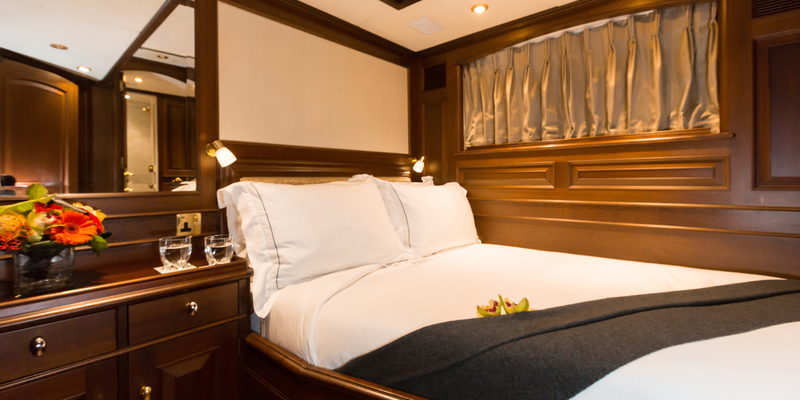 Sonja’s dark mahogany wood paneling and gold plated fittings mix beautifully with luxurious fabrics. 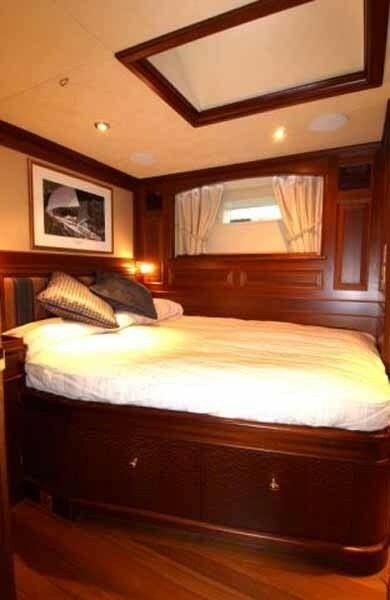 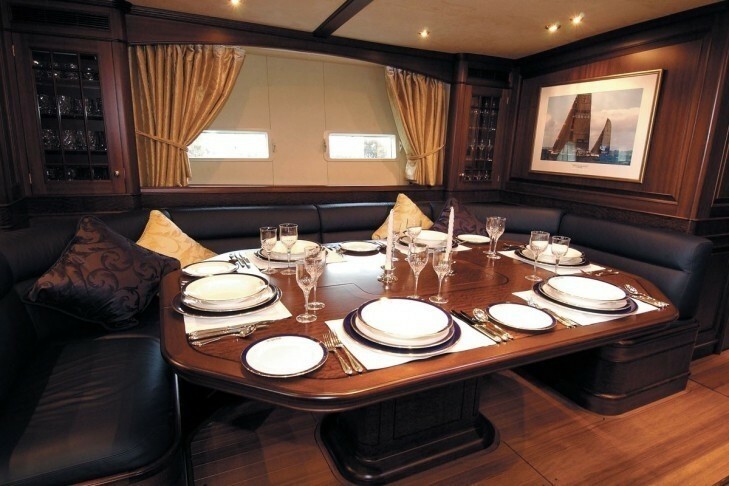 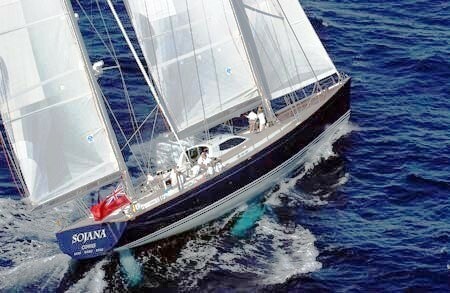 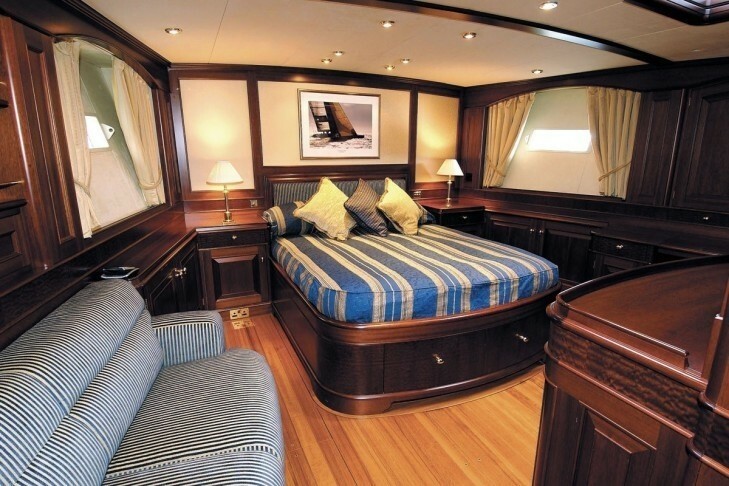 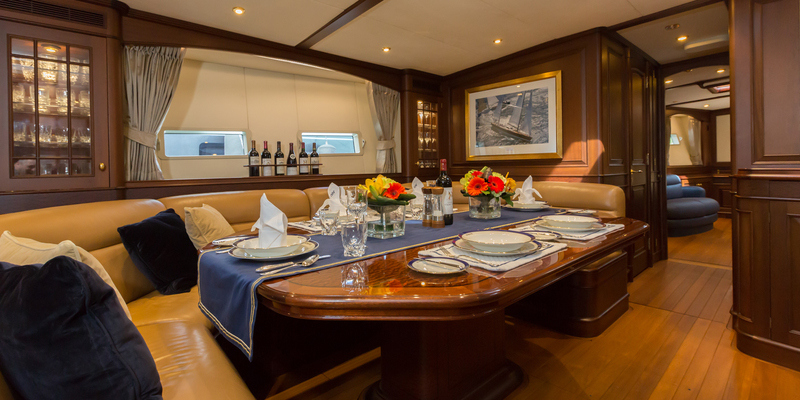 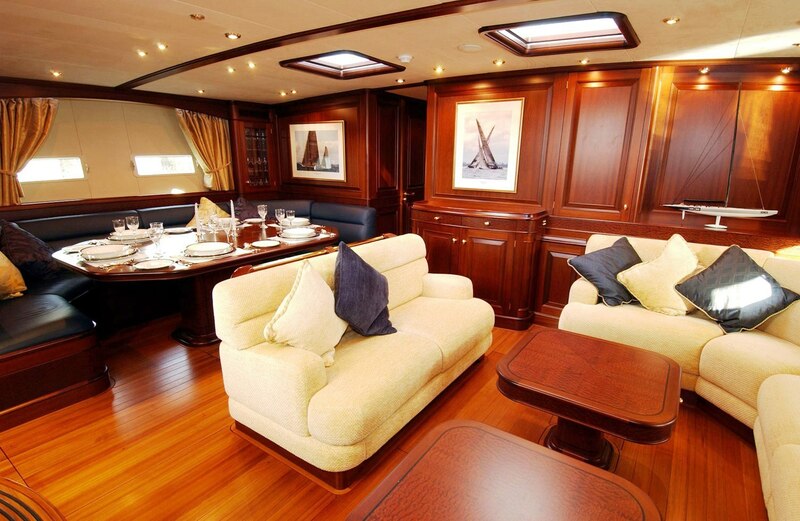 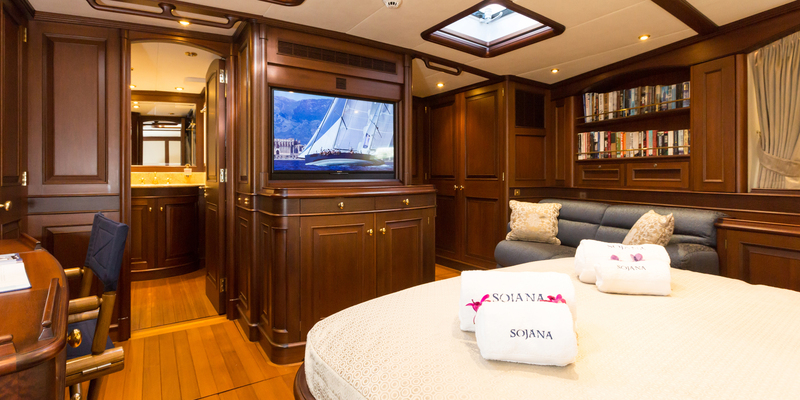 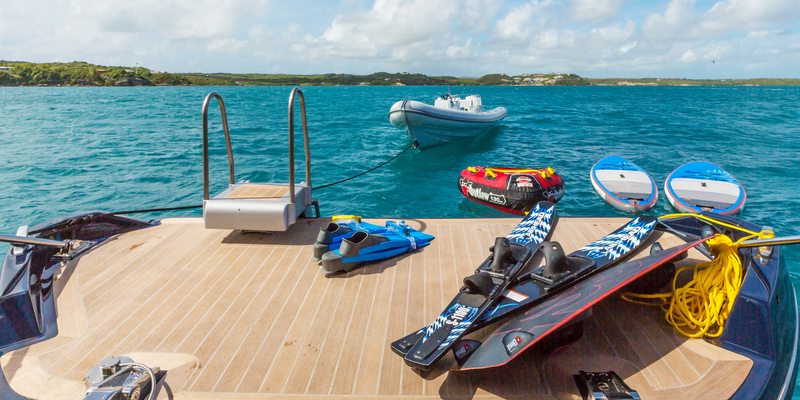 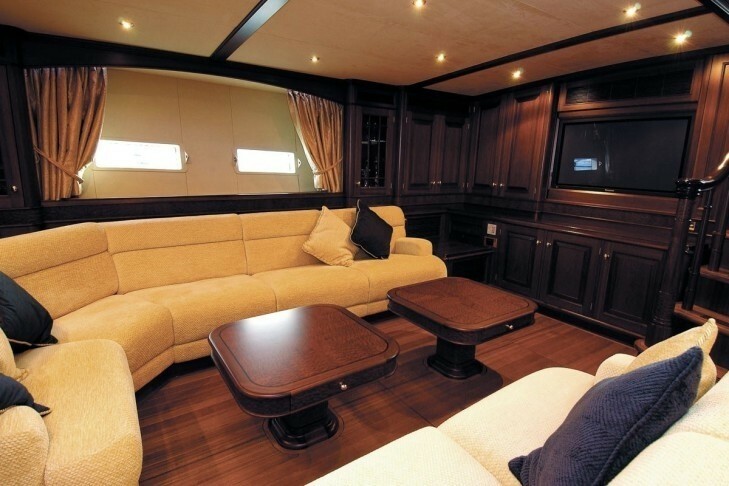 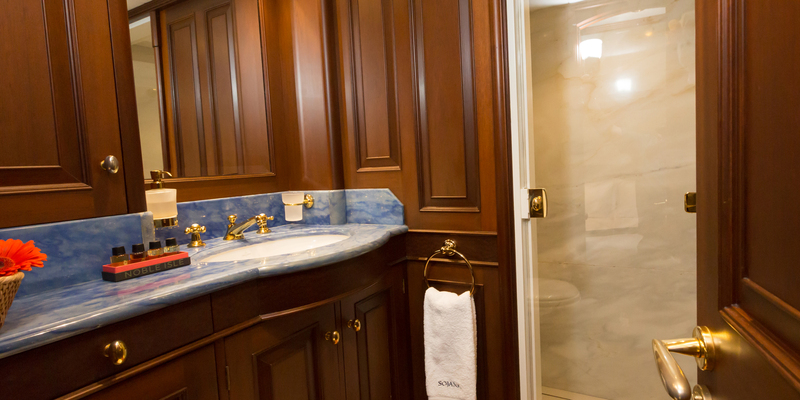 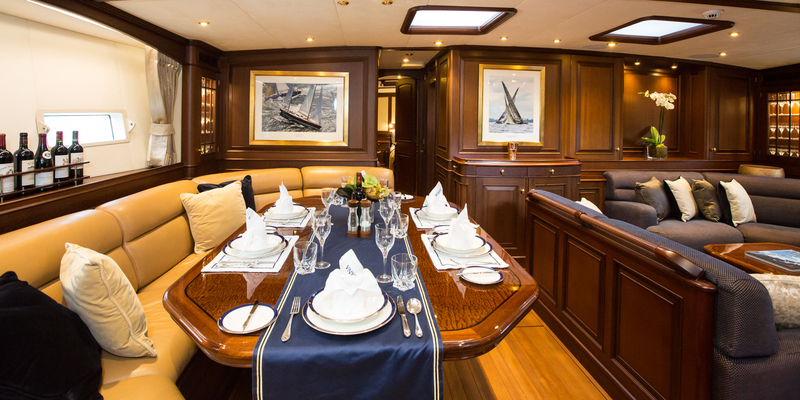 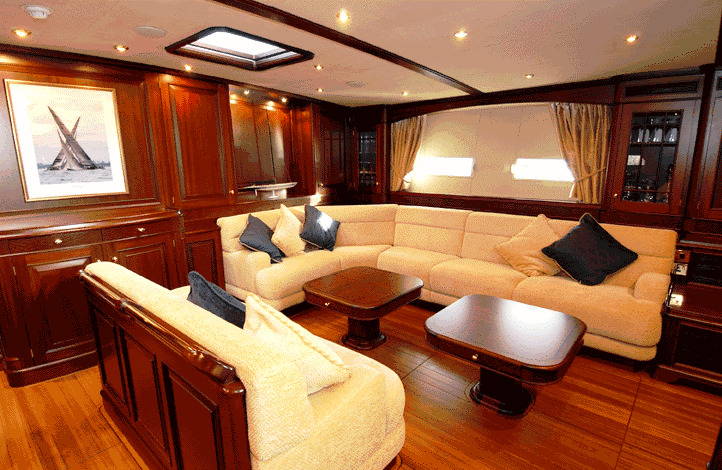 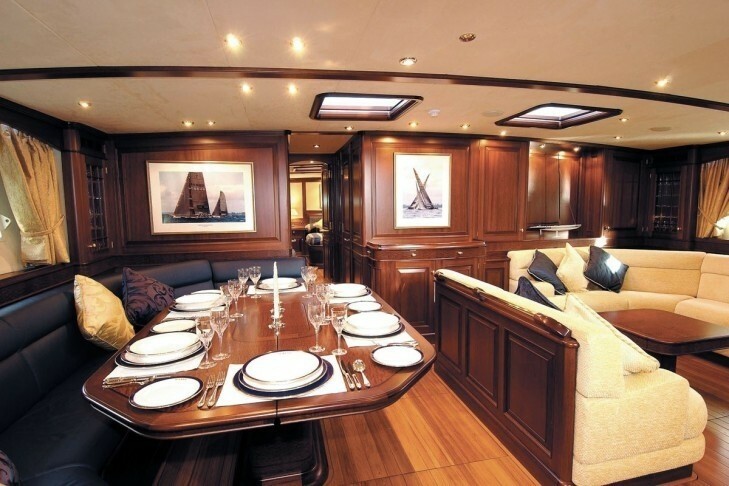 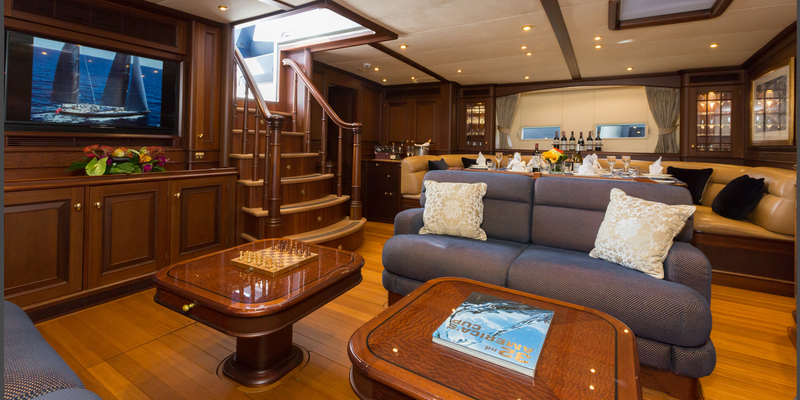 Sojana comfortably accommodates up to 8 guests in 4 cabins. 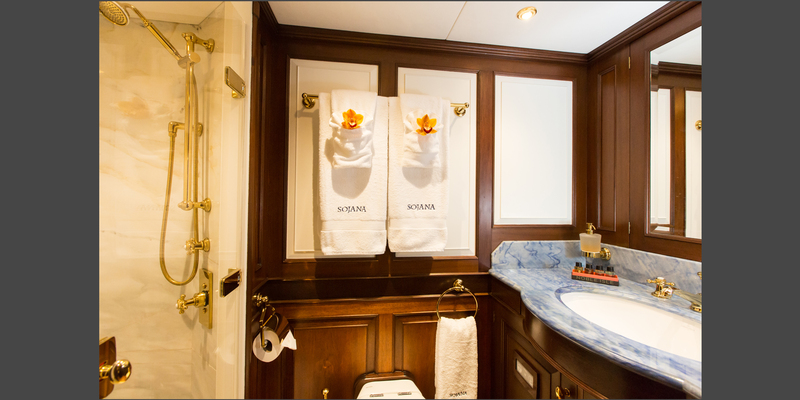 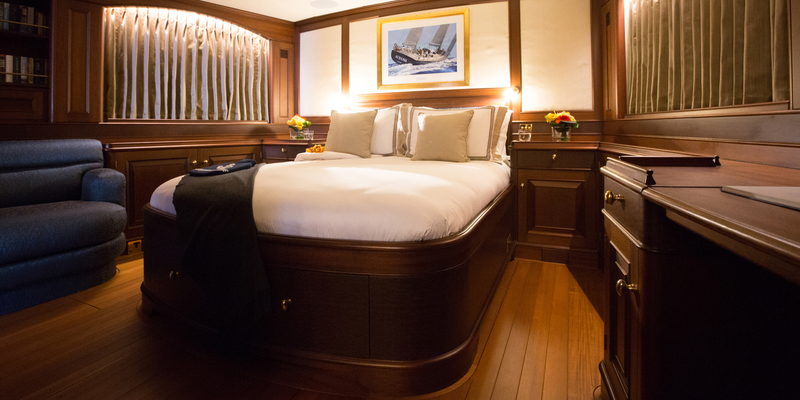 She offers an en-suited master stateroom, a VIP cabin with ensuite, a twin cabin with ensuite and a cabin with 2 bunk beds. 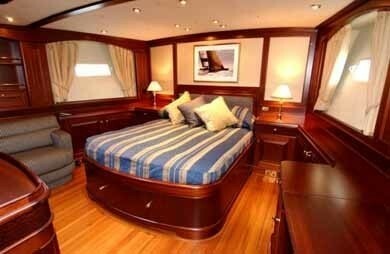 Opposite the bunk cabin there is a day head however there is no shower so the ensuite of another cabin must be shared. 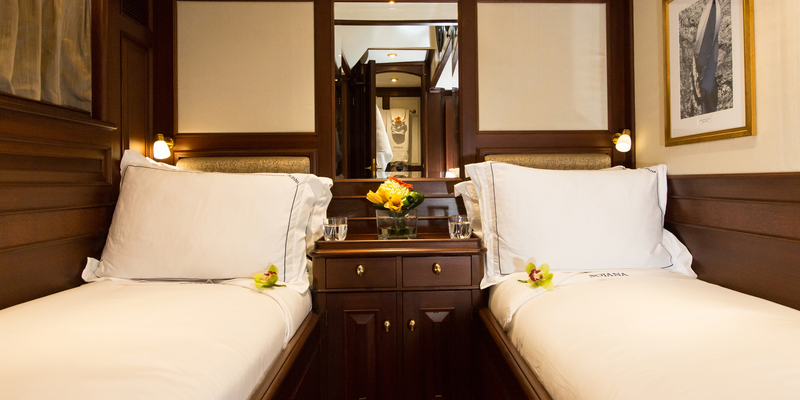 This bunk cabin is ideal for children.